The Yorkshire Party has called for greater openness and accountability in the county’s tourism agency, following the departure of Sir Gary Verity as chief executive of Welcome to Yorkshire. 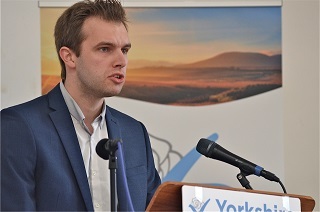 And Tim Norman, Party spokesperson on Tourism has urged a change of tack on how tourism is promoted in Yorkshire. “Is cycle tourism the be all and end all? The Yorkshire Party believes that Yorkshire has so much more to offer. But it is not just cycling. “Yes the Tour de Yorkshire and the Grand Depart have publicised the beauty of Yorkshire, its hills, its dales and coast but only to a small market place of cycle tourists. “But there is a need for more transparency. Ron McMillan, Chair of Welcome to Yorkshire has said that it is very much business as usual for Welcome to Yorkshire. In a statement on Sir Gary’s decision, Welcome to Yorkshire said he had resigned on health grounds. “Although not directly linked to Sir Gary’s resignation, concerns have been raised in relation to his behaviour towards staff and his expenses. As a responsible organisation Welcome to Yorkshire takes all allegations very seriously. The Yorkshire Post is among media who have reported growing pressure on Ron McMillan to resign too.